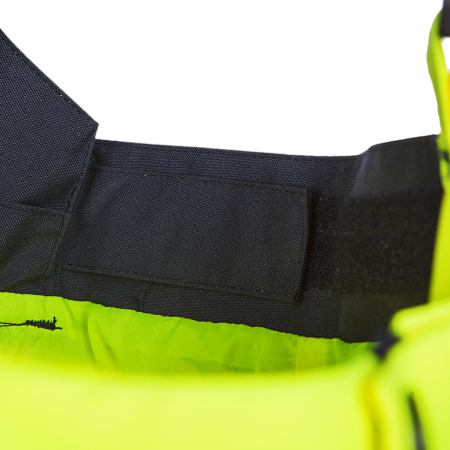 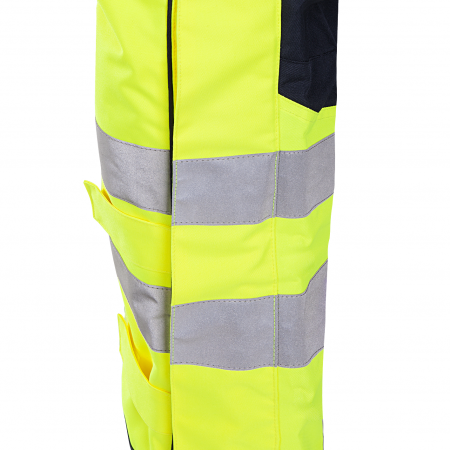 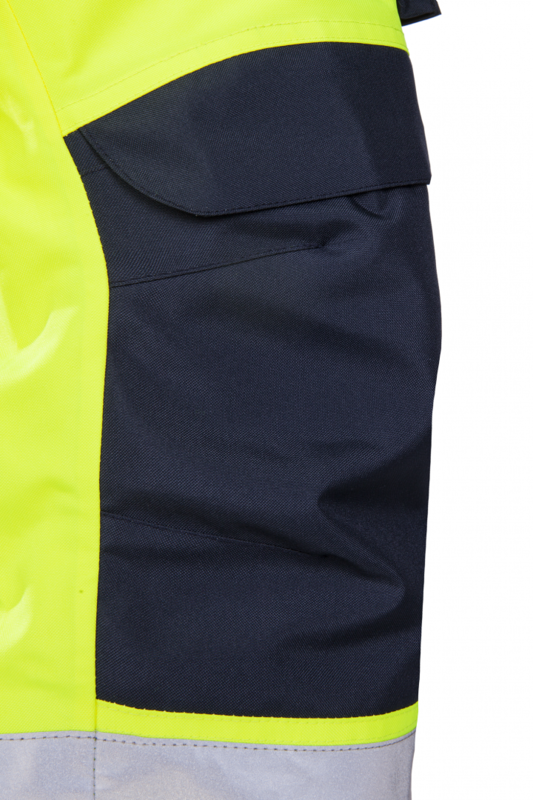 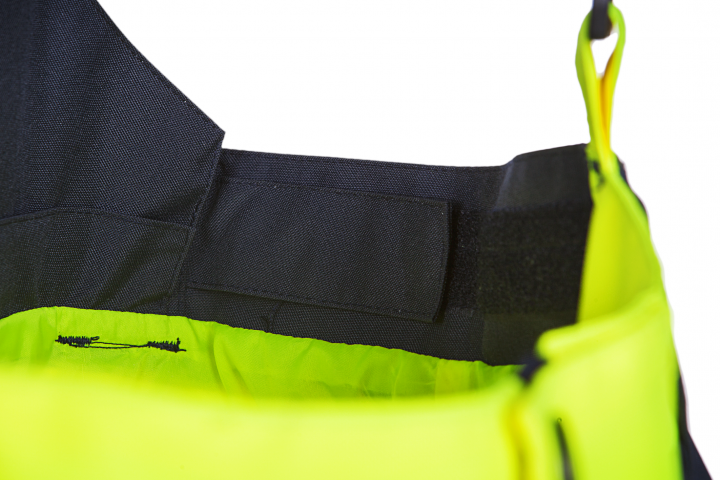 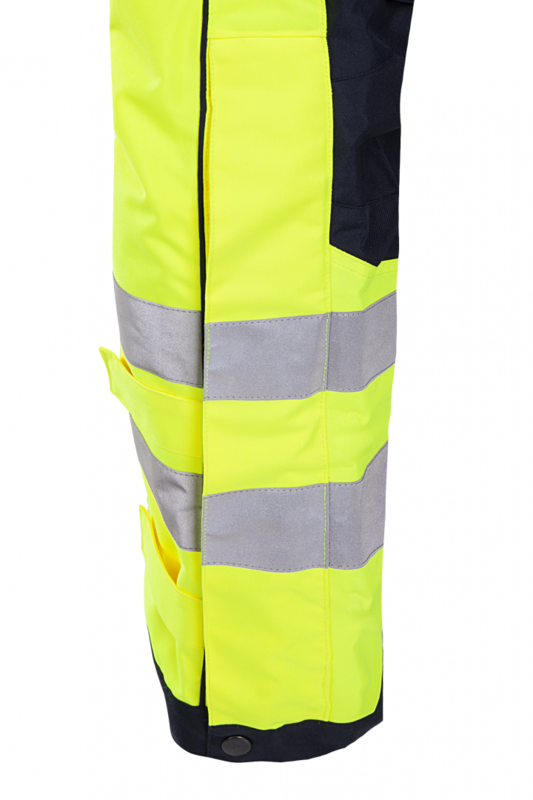 These beautiful and stylish, yet strong and smooth hi-vis rain trousers protect you from rain and wind thanks to the water-repellent outer fabric. 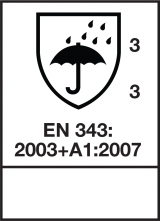 The moisture-absorbing coating on the inside ensures that you feel comfortable, day in and day out. 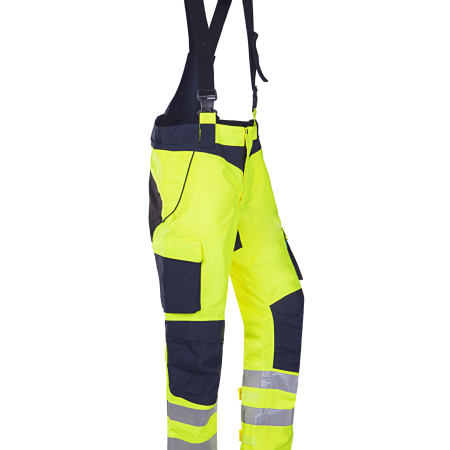 These rain trousers are designed for your comfort: preshaped knees, seat reinforcement, narrowing at the leg ends and elastic wind cuffs at the ankles. 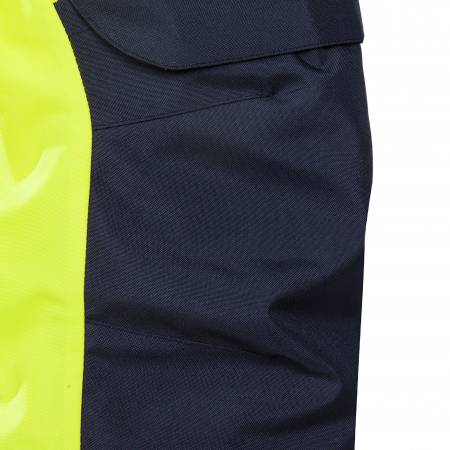 In addition to two inset pockets, the Anholt trousers are provided with knee and thigh pockets. 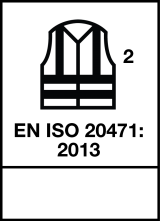 As extra features there is a zipper with flap and touch and close fastening at the bottom of the leg, and the back top can be removed. 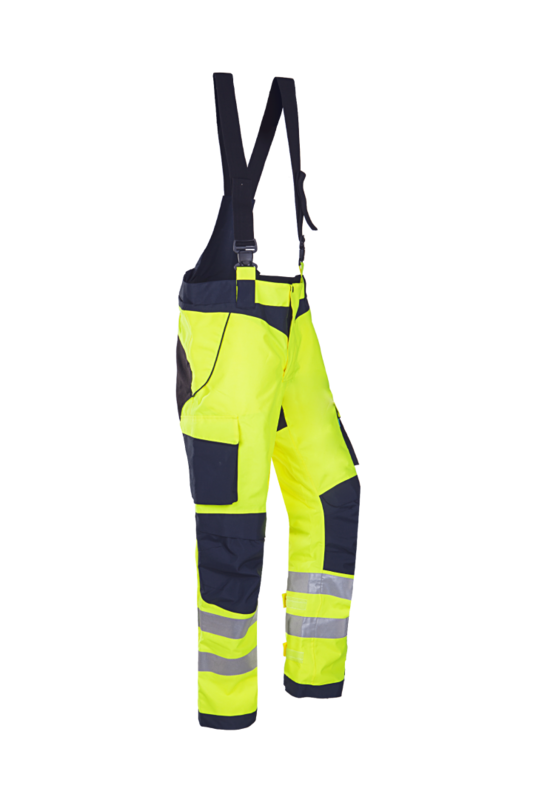 Performing heavy work comfortably, you can do all this with our Anholt.